The FCOG Trustee Board has the responsibility of making financial decisions for the church. In addition to the budgeting and making financial decisions the Trustee Board strategically designs a plan by which all maintenance and upgrades are completed as planned. The Trustee Board has been able to accomplish numerous tasks to benefit the church as a whole. The projects and purchases done by the Trustee Board include the following: purchase new tables and chairs for the fellowship hall, purchase new mikes for the choir stand, set up the library for marriage counseling, hired new staff, had the Fellowship Hall floors maintenance, the parking lots sealed, restriped and cleared of trees and debris, donated a commercial lawn mower to West Middlesex, installed new storage shelves in kitchen, supply room and also in the Children’s Church supply room, installed a new air conditioner in the Church Sanctuary, installed a camera and a monitor for the front entrance of the sanctuary, installed a new mail drop installed in elevator entrance, and purchase a new ice-maker in the fellowship hall. Just recently in November, the Sanctuary was remodeled and the same is hoping to be done to the hallways in the year 2009. 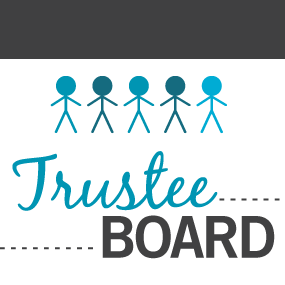 The Trustee board purpose to take of the Church’s financial obligations with an air of integrity. Next year they hope to continue to be of service to God, His people, the community, as well as maintaining Gods House and build His Kingdom. The generous support of the members is what God expects in according to Malachi 3:8.